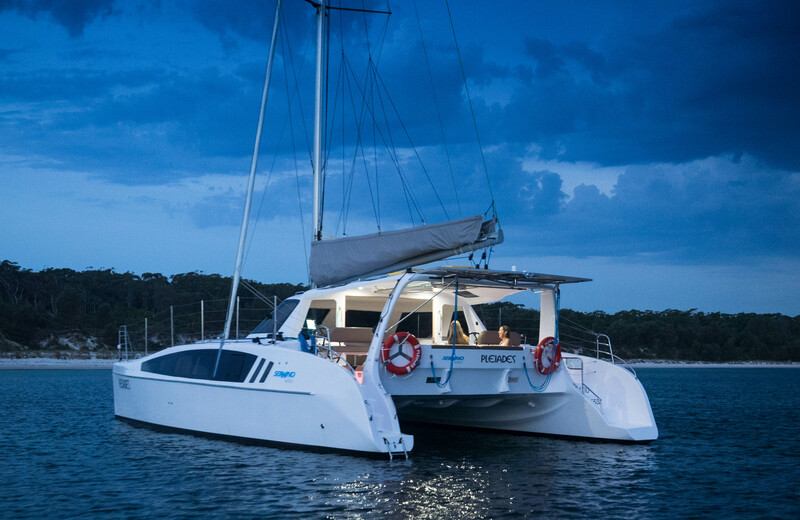 Experience the beauty of Jervis Bay in true eco mode on board our sailing catamaran. 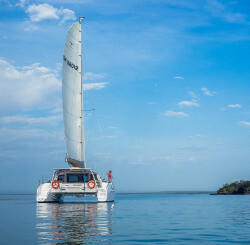 Enjoy the peaceful feeling as you explore the clear waters of this unspoilt world class destination under sail. 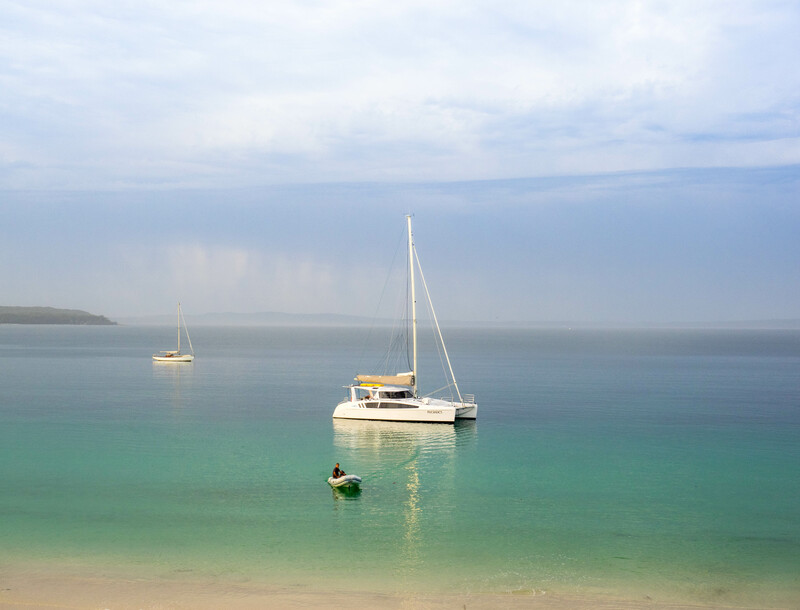 Jervis Bay abounds in wildlife from seabirds to marine mammals and is a unique waterway surrounded by majestic cliffs and the whitest sand beaches in the world. 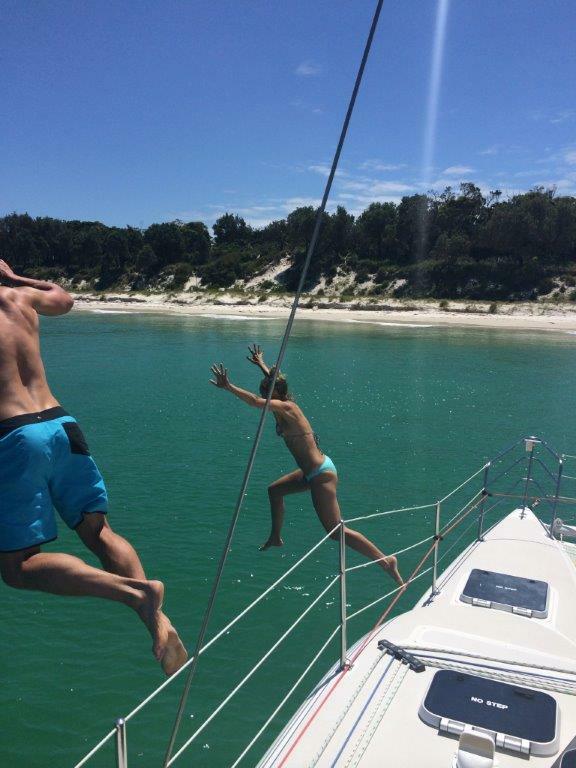 Jervis Bay Sailing Charters is the perfect platform to experience this spectacular aquatic playground on your own exclusive yacht charter. 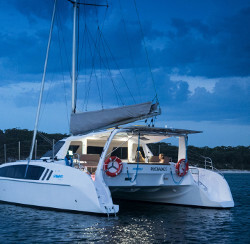 The sailing catamaran comes fully equipped and with a professional skipper providing a unique, unhurried taste of Jervis Bay under the quiet of full sail. 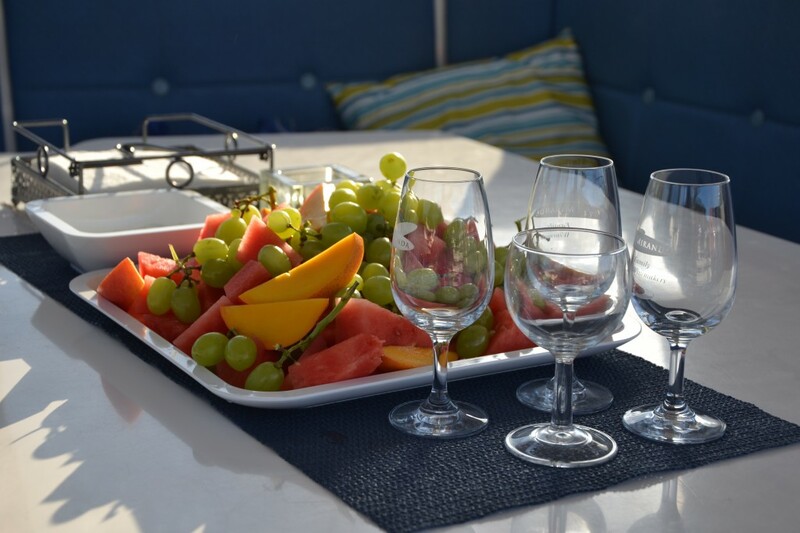 Catering can be BYO or relax and let one of the excellent local cafe’s take care of it for you. 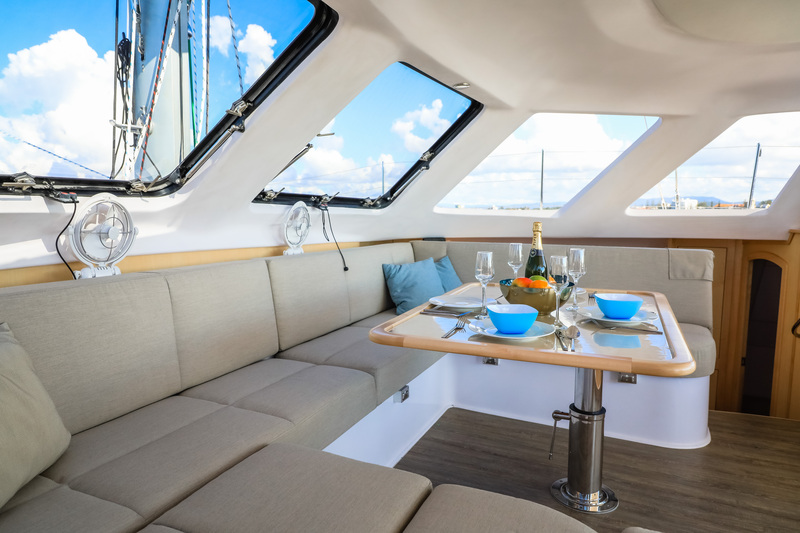 You can unwind on board in the spacious enclosed saloon enjoying 360 degree views sheltered from wind and sun, or for the more adventurous head to the bow for dolphin spotting or chill on the forward trampoline area, even take a turn at the wheel or join in sailing the boat. 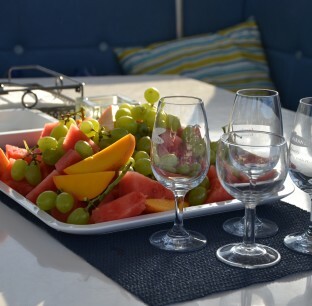 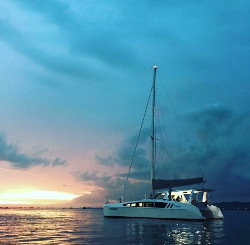 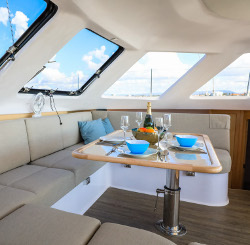 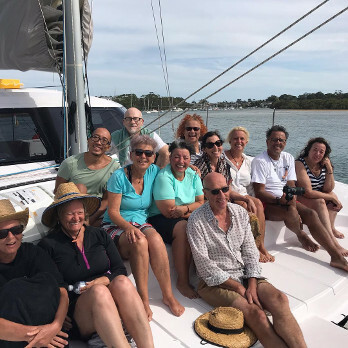 The safe and stable catamaran is perfect for private or corporate charters, tour groups, office parties, family events, wedding celebrations, hens days and other intimate social occasions for couples or groups up to 12. 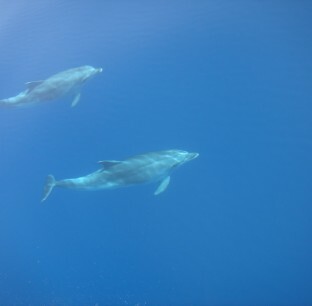 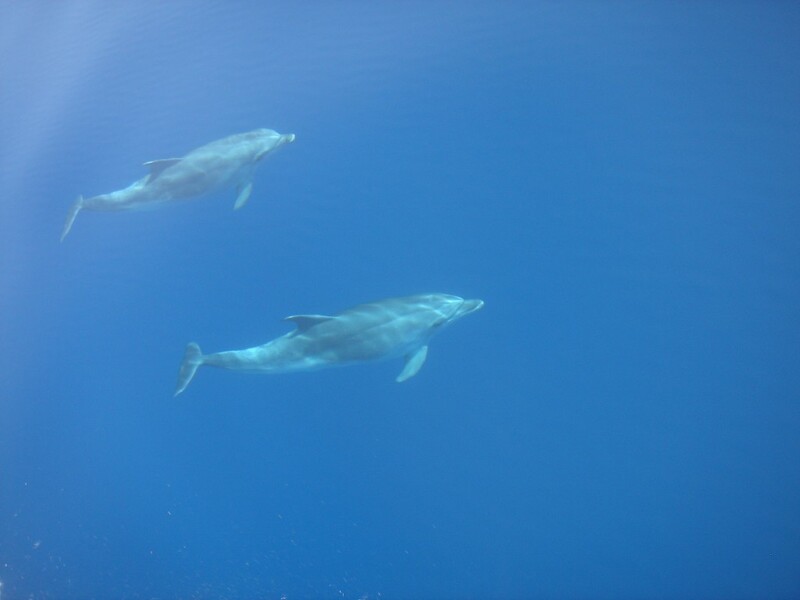 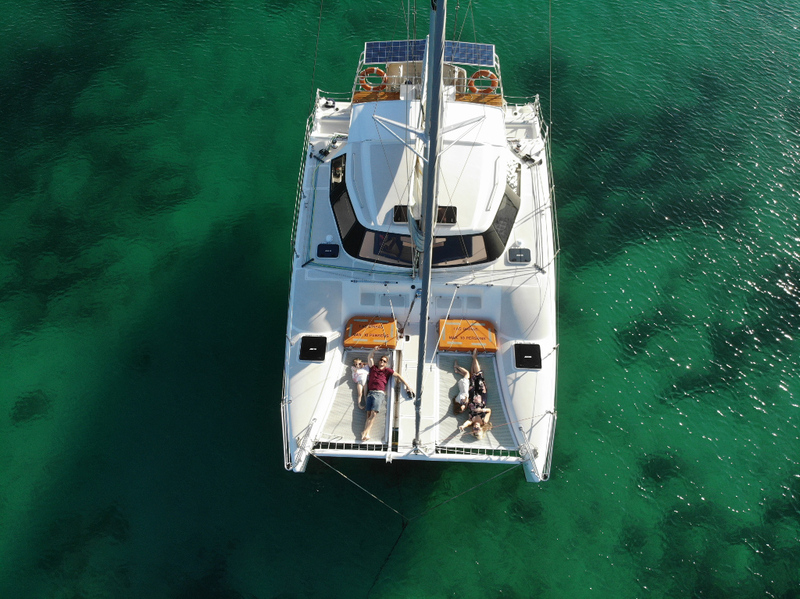 Opportunities for adventure sailing offshore and overnight charters. 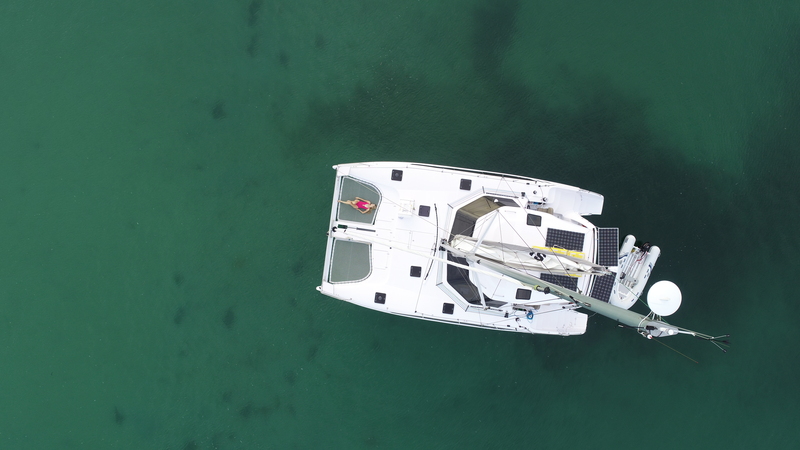 2 hrs around the bay where you can catch the gentle morning breeze, a very special time on water. 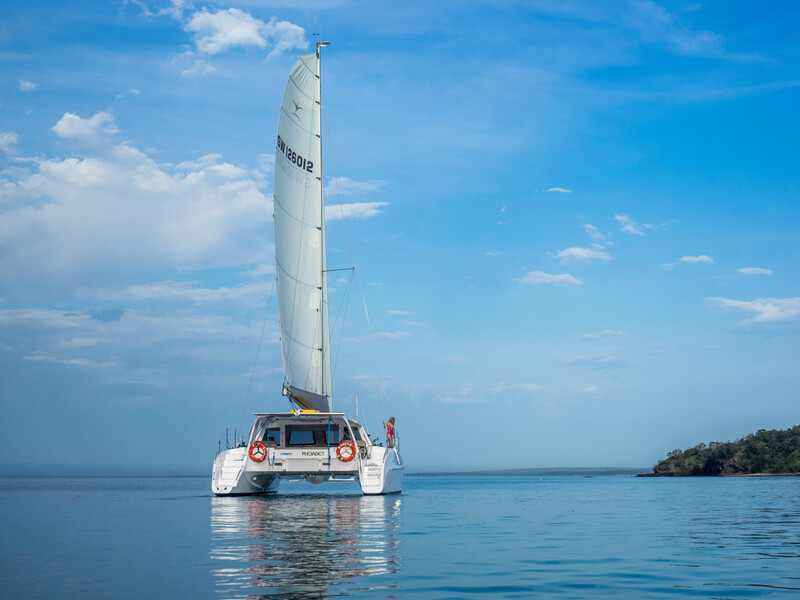 Our most popular 4.5hr hour cruise with time to sail and explore, anchor off one of Jervis Bay's pristine beaches for a swim or snorkel. 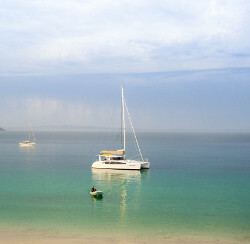 Relax in perfect natural surroundings before ambling back to Huskisson under sail. 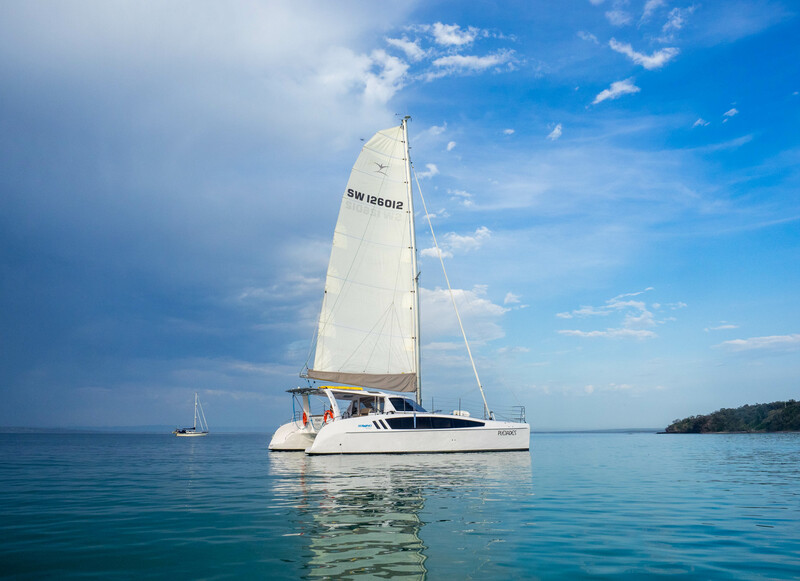 Longer 6 hr Day sailing cruise with more time to sail and explore, anchor off one of Jervis Bay&apos;s pristine beaches for a swim or snorkel. 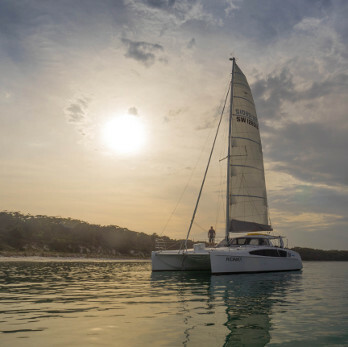 Relax in perfect natural surroundings before ambling back to Huskisson under sail. 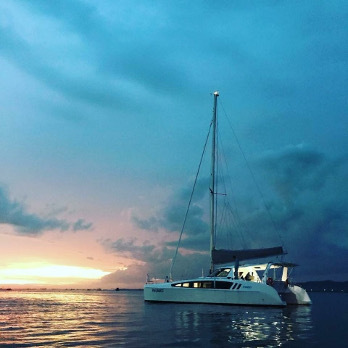 Enjoy the quietness of late afternoon afloat to wrap up your day. 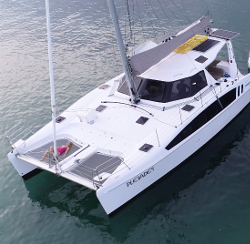 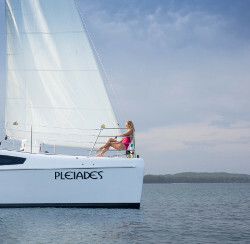 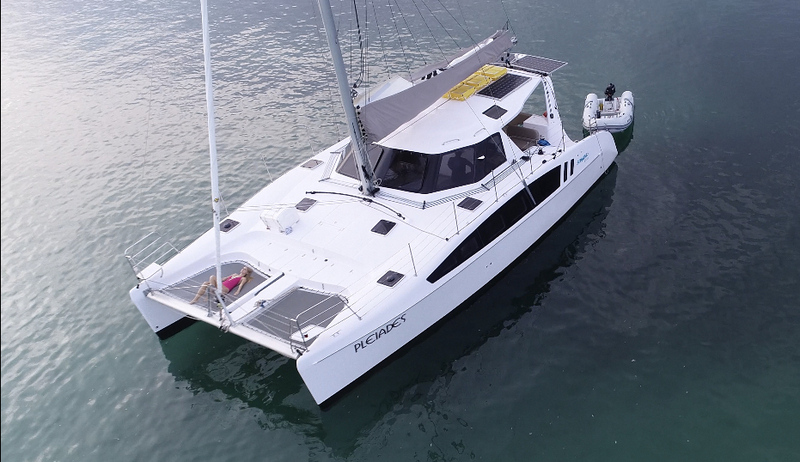 Pleiades is a Seawind 1260 sailing catamaran available for crewed charters on Jervis Bay (and other locations) The boats design provides guests with a relaxing time on board, comfortable under sail or anchored off a sheltered beach for the night. 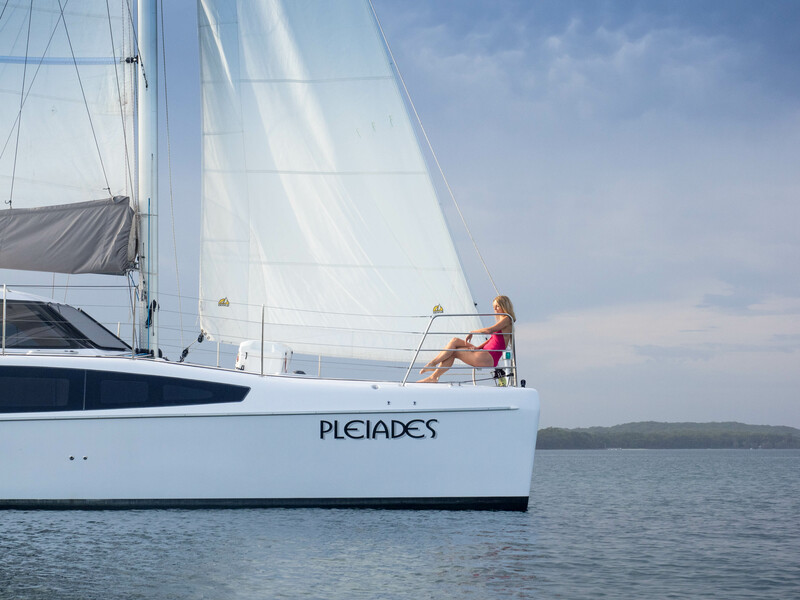 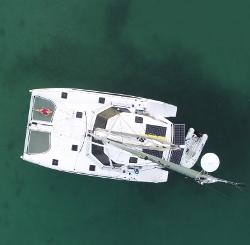 Join us for a coastal adventure 2-5 days of coastal sailing providing an opportunity to taste the open ocean waters if you&apos;ve been thinking about offshore sailing or want to extend your range of experience, Pleiades is a perfectly equipped Seawind 1260 set up for safe ocean cruising. 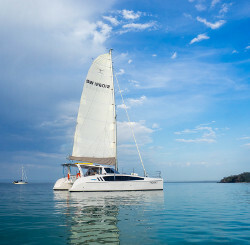 Alan and Cindy have an extensive background in ocean sailing. 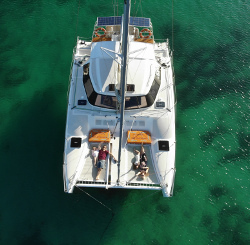 After spending their honeymoon sailing across the Pacific Ocean in a small yacht, they have continued to work, travel and sail the world for more than 25 years together. 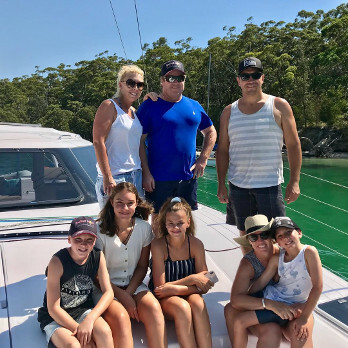 Making their family base on the South Coast they have come to know and appreciate the area and enjoy showcasing Jervis Bay to their many charter guests. 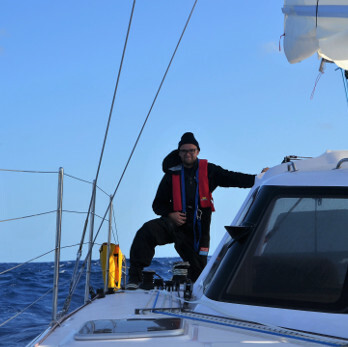 Alan has raced solo around the world in the BOC Challenge Single-Handed yacht race and remains involved with various yachting projects as a consultant and contract skipper. 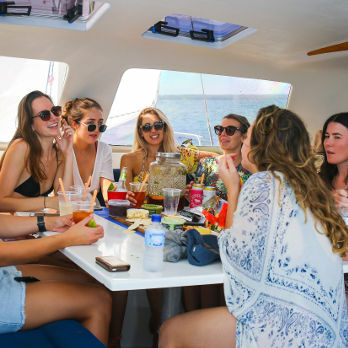 Whether you’re looking for a unique and fun way to reward clients, staff or spend a special day out with family and friends… our team would love to discuss the possibilities with you!